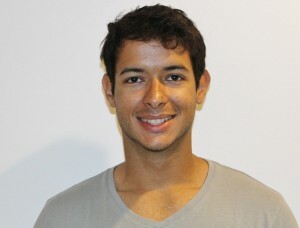 Meet EC Montreal’s New Student Ambassador: Alex Lima from Brazil! EC Montreal is proud to introduce you to our new student ambassador, Alex Lima from Brazil! He is so eager to assist our new students with their adjustment period in Montreal! Hi everyone! My name is Alex Lima and I’m Brazilian. I arrived at EC Montreal in April to learn French. For the past 4 months, I’ve improved my French a lot and I’ve had the best time either participating in one of the many school activities or exploring the city with friends. Last week, I was kindly asked to become a Student Ambassador and I saw the perfect opportunity to share all the experience I’ve gathered so far with the new students. So, if you are a student and you’re reading this, no need to be shy! Come talk to me during the breaks and I’ll do my best to help share my “student’s point of view” about this amazing city of Montreal!